The spirit of freedom was high in the hearts of those who attended the Riverside Women’s March Jan. 21 in solidarity with the Women’s March on Washington that occurred in Washington D.C.
From 10 a.m. to noon, supporters met at Sixth and Main streets, walked through Downtown Riverside and ended at the Martin Luther King Jr. statue on Ninth and Main streets. Caitlyn Park, freshman keyboard accompanying major, and Simone Perry, freshman pre-nursing major, are two California Baptist University students who attended. Perry said the march was a way for people to come together in support of one another to promote a positive message. The Riverside March was one of 673 marches held across the world, with an estimated 4.9 million marchers in attendence. Park said the march reminded the leaders of the country that all voices need to be heard and express their rights of democracy. 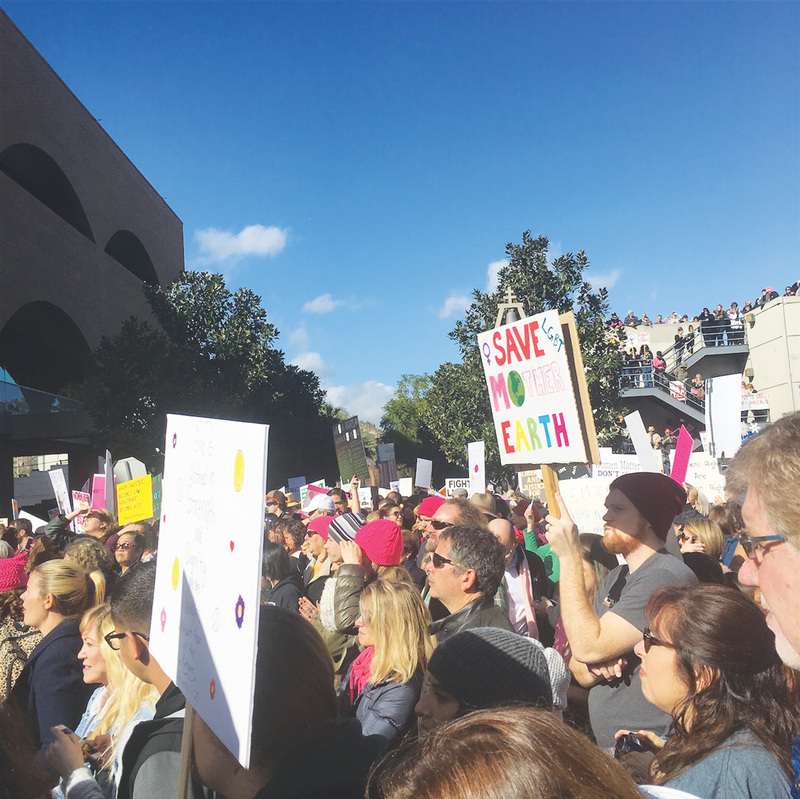 “I marched because I longed for a reminder of hope, because I was in search of a diverse community intended to remind me that I am strong and that my voice matters,” Park said.